I t’s been six months since my last post about my grief journey following my mother’s death on May 22, 2016. 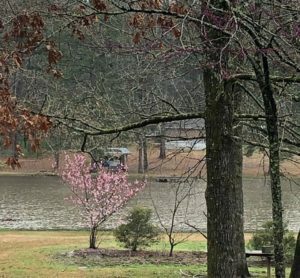 I was going to wait until May 22—the one year anniversary of Mom’s death—to write this post, but with Mother’s Day coming up, today just seemed like a good time. 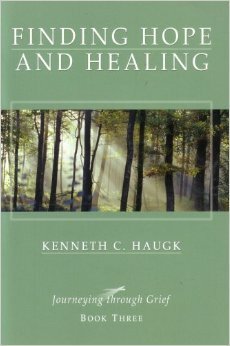 And, I recently received Book Four of Kenneth C. Haugk’s series, Journeying through Grief in the mail from Mary Lewis, the Stephen Minister and Grief Ministry Coordinator at Covenant Presbyterian Church in Jackson, Mississippi. This was the church my parents helped to start in the 1950s. The church I grew up in and was marred in on June 13, 2013. Mary’s letters and the booklets have been a great blessing to me over this past year, and this final mailing is no exception. 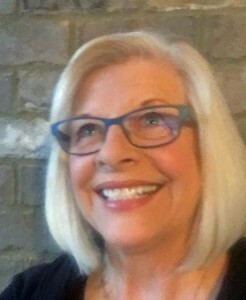 Part of what we do during grief is to develop a new relationship—a continuing bond—in which we don’t disconnect from our loved one, but instead reconnect with him or her in a new and different way…. There are many ways to have a continuing bond with a loved one. 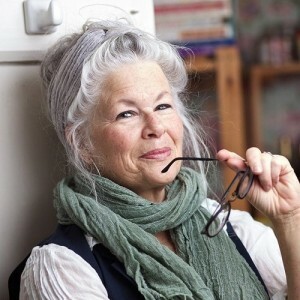 Haugk goes to on to share examples, personal stories of ways that people have kept that bond alive—using a grandmother’s recipes for Thanksgiving; curling up in a husband’s favorite lounge chair to feel close to him; lighting a scented candle as one man’s wife often used to do. 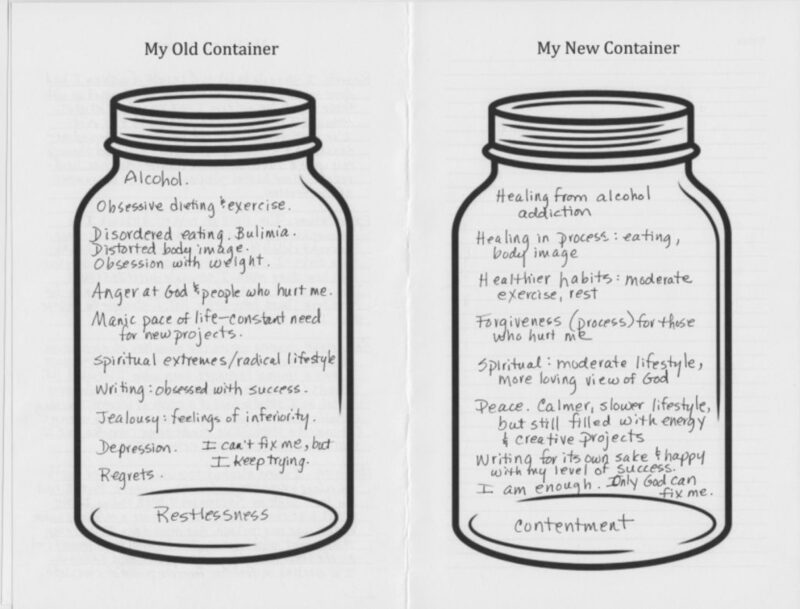 For me, this past year has been about working through the stages of grief in ways that have surprised me, knocked the wind out of my sails (depression, weight gain, etc. 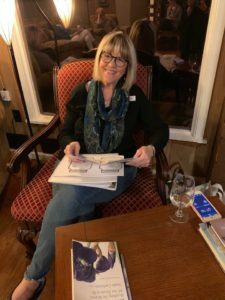 ), and then encouraged me, as I began my book tour in March for Tangles and Plaques: A Mother and Daughter Face Alzheimer’s. Reading stories from those years of caregiving for Mom at book signings has reminded me of God’s grace in allowing me to forgive her, to ask her forgiveness at one point, and to begin to heal what was a very dysfunctional relationship. This coming Saturday I’m traveling to Nashville for two book events. 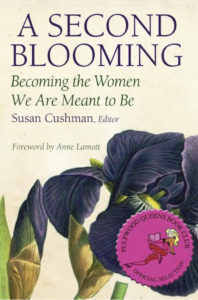 The second one is a book reading and signing for A Second Blooming: Becoming the Women We Are Meant to Be, with Nashville area contributors Kathy Rhodes and River Jordan. That will be at 1 pm at Barnes and Noble in Cool Springs Mall in Brentwood. 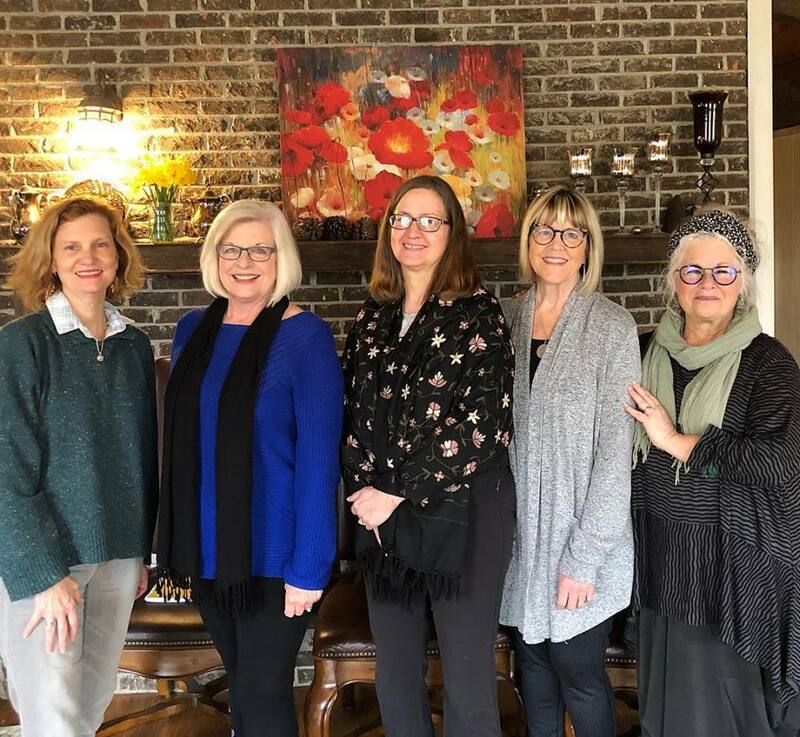 But Saturday morning at 10:30 I’m meeting with a group of women in nearby Thompson’s Station, Tennessee. 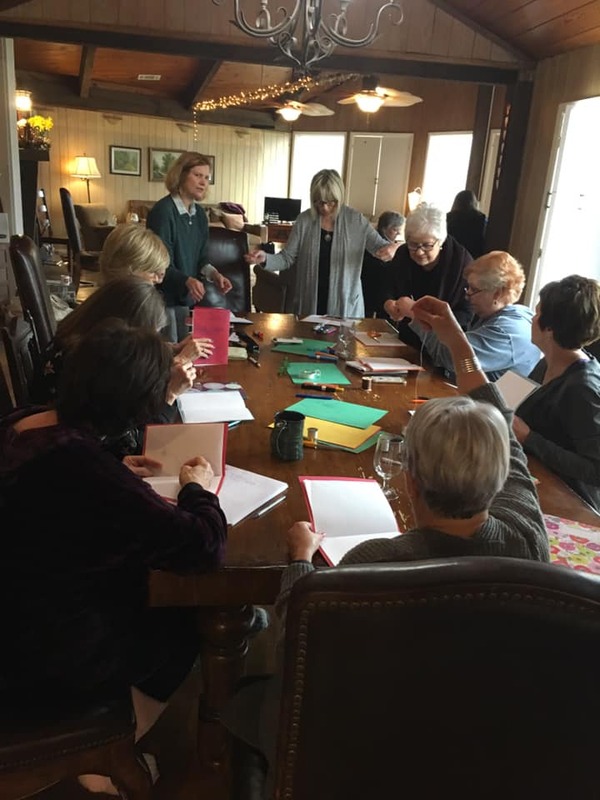 They have formed a support group for caregivers, and one of them read Tangles and Plaques and asked the group’s leader/hostess to invite me. I’m sure I will benefit as much or more from their stories as they might from mine, and I can’t wait to talk with all of them. Nearly every grieving person I’ve talked with has told me they’ve become more caring and compassionate with others who experience losses. They know what it’s like to lose a loved one and are much more sensitive to other people’s needs. I hope I’ve become more compassionate. I think I’ve become a better listener. 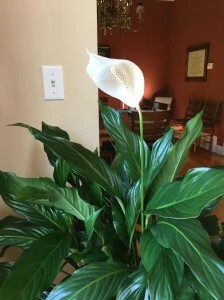 This beautiful peace lily sits by my front door, as a reminder of the love of the people at St. Peter Orthodox Church in Madison, Mississippi, who gave it to me for my mother’s funeral last year. I love that it’s blooming right now, near Mother’s Day, and near the one year anniversary of her death. I hope it will bloom for many years to come. 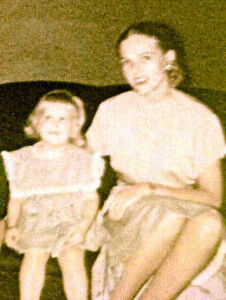 It’s been almost six months since my mother’s death on May 24. I wrote about my grief process back in July initially, and then again in August. 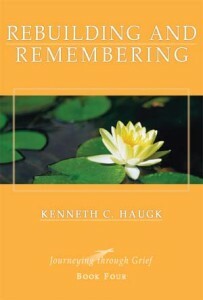 Both of those posts included reflections on the series of booklets by Kenneth C. Haugk, Journeying through Grief. This week I received the third of the four books in the series, from Mary Lewis, the Stephen Minister and Grief Ministry Coordinator at Covenant Presbyterian Church in Jackson, Mississippi—the church my parents helped establish in the 1950s. The church in which I was confirmed as a communing member when I was twelve. The church in which I was married in 1970. Talking is healing. Talking helps you locate your pain, bring it to the surface, and let it go. And because your grief doesn’t suddenly go away, the pain recurs, and you need to talk about it again an again and again. That’s why grieving people need to talk about the same feeling or memory over and over. I remember one night a few weeks ago when I was a bit depressed and my husband asked me what was wrong. I simply answered, “My mother died.” He smiled gently and embraced me, making himself available for my words. Talking helps. And for a writer, that often means writing. 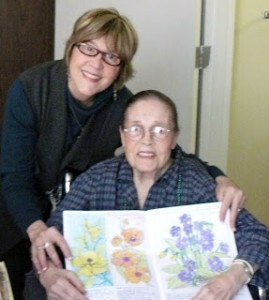 It’s almost ironic that just before my mother died I finished writing a book about my years of caregiving with her. Tangles and Plaques: A Mother and Daughter Face Alzheimer’s will be published in February. But this summer I read all the way through the manuscript again, not only proof-reading for errors but also letting my words into places where my heart needed healing. I read parts of it aloud, which felt like sharing those words with a friend, or maybe with the little girl inside who had lost her mother to Alzheimer’s years ago—the little girl who had always been grieving for a different kind of mother, for one who could love her unconditionally. View your guilt as someone else might. It may be helpful to look at yourself as if you were a third person. You may see how unrealistic your expectations are. If you wouldn’t blame another person, why are you blaming yourself? If you’d have compassion on another person who is grieving, why wouldn’t you have compassion on yourself? Remember the good that you did…. Take a fresh look at your relationship with your loved one and recognize the good things you did as well. Commend yourself for those. One of my favorite memories of “good things I did with Mom” is from six years ago. 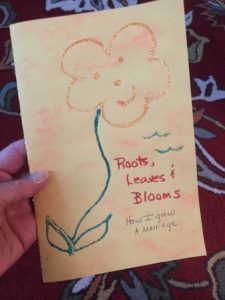 I wrote about it here: “Coloring Violets With Effie.” Mother was very artistic, but I couldn’t get her to draw or paint in her latter years. 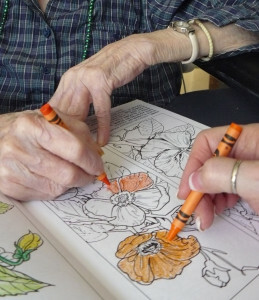 So I took a coloring book and crayons to the nursing home and we colored together. At first she was shy about it—perhaps she was thinking it was childish. But once she got into it with me, she started remembering things she loved and talking about them—her favorite color (purple); how much she loved flowers and making flower arrangements. It was one of my favorite visits with my mother. So today I’m again thankful to the folks with the Stephen Ministry at Covenant Presbyterian Church in Jackson for this gift, and I look forward to the fourth and final booklet in the series when they send it. What a blessing for my grieving heart, which is healing.